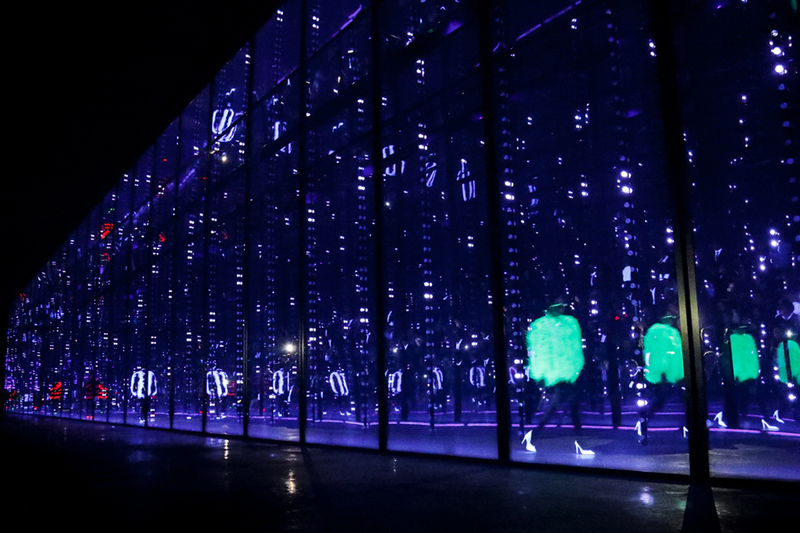 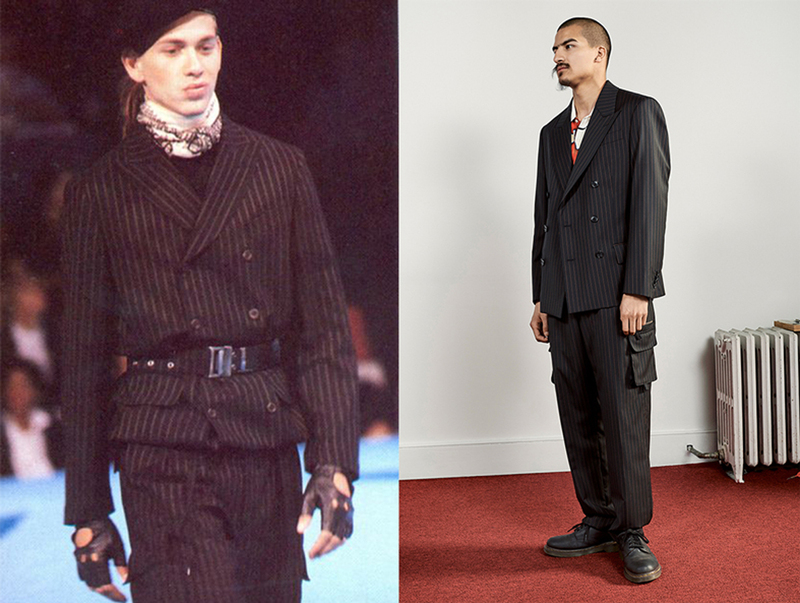 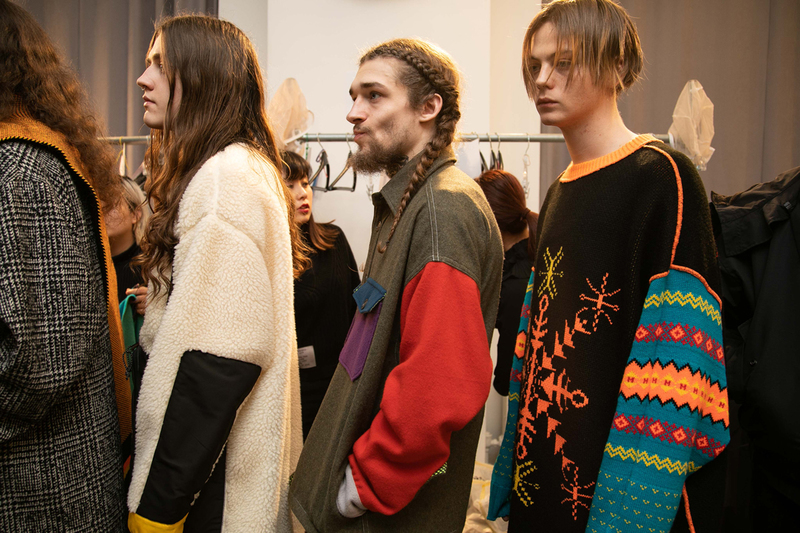 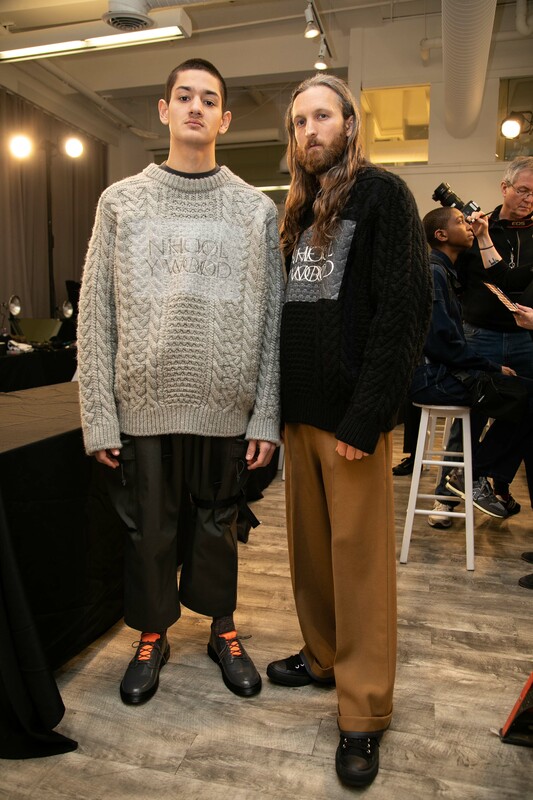 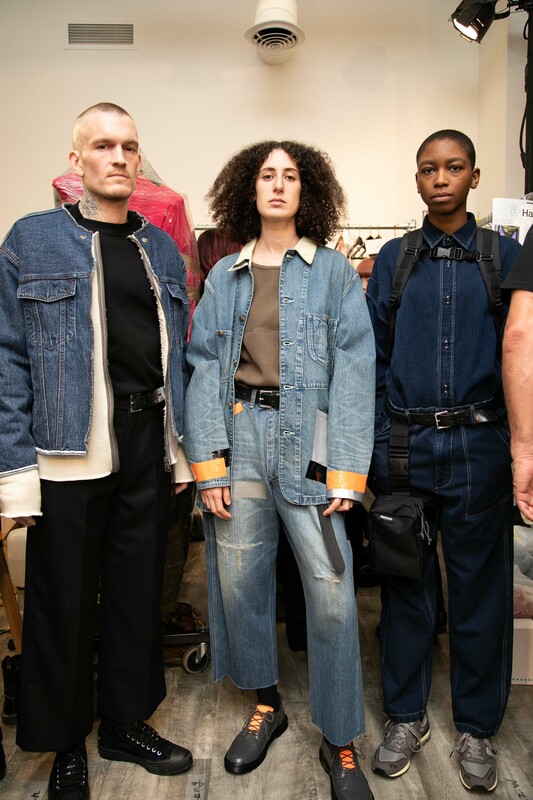 Shearling lining, oversized cable knits, large backpacks, and other items you’d need for a peaceful retreat into the woods were all included in N.Hoolywood‘s Fall ’19 collection. 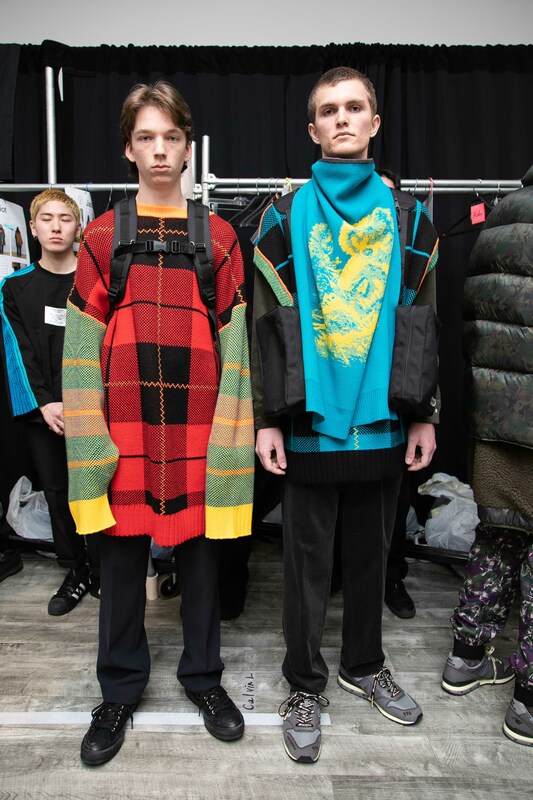 The latest offering from Japanese/American designer Daisuke Obana was heavy on layering, featuring looks that opted for maxim insulation and contrasting them with relaxed, deconstructed pieces. 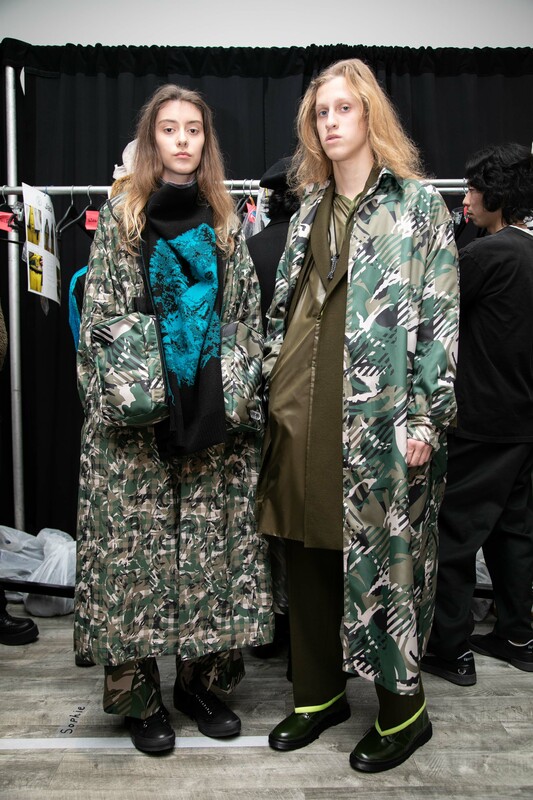 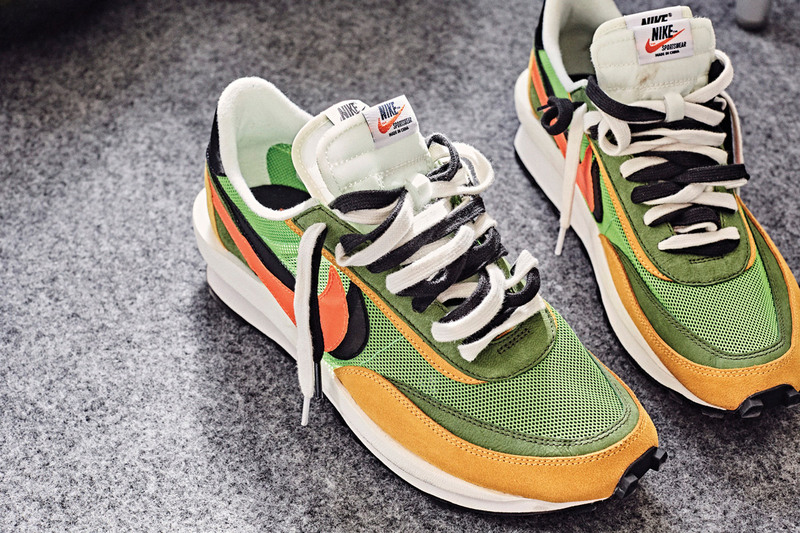 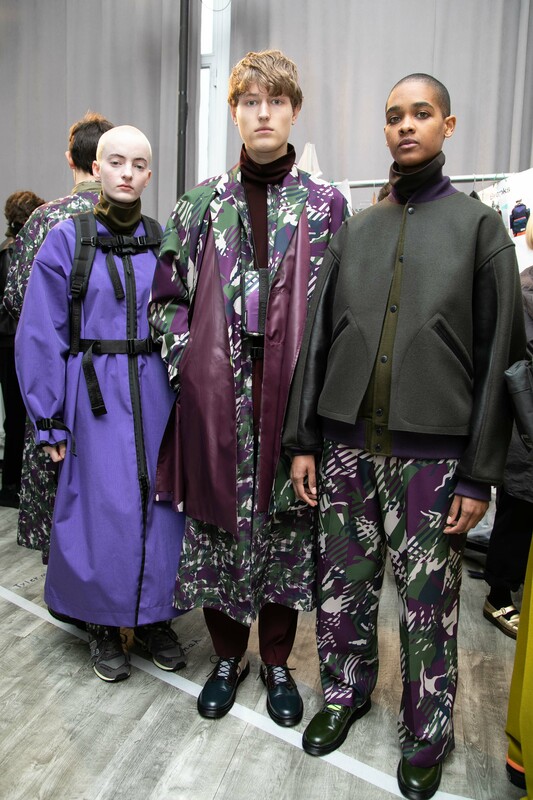 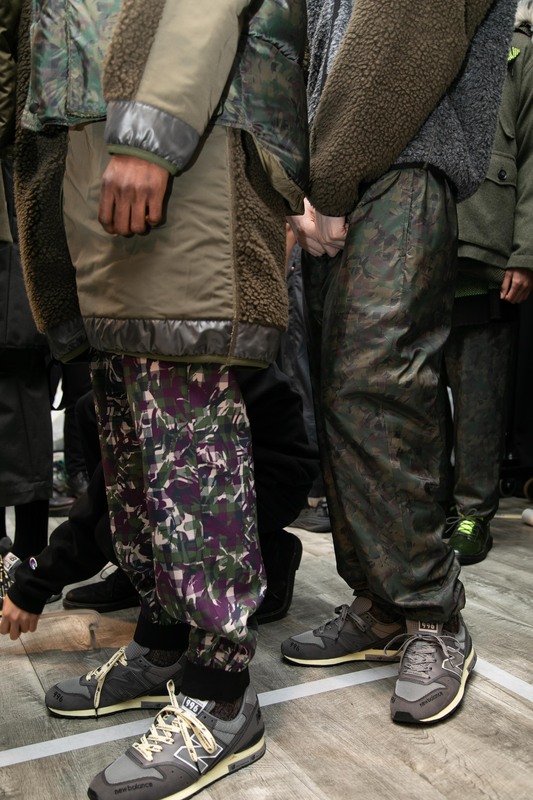 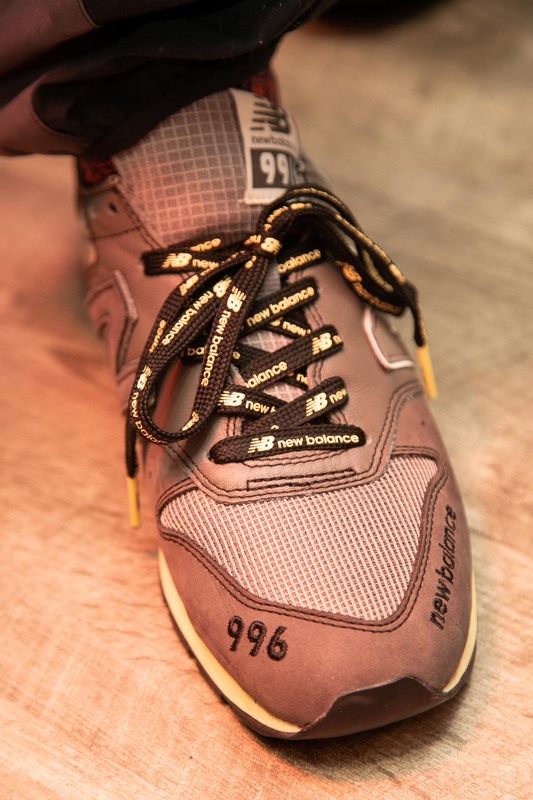 Camouflage, plaid, and other prints (like wolf graphics on select sweaters) and pops of color against monochromatic ensembles breathed energy in the collection, which was additionally enhanced by sneakers designed in collaboration with New Balance. 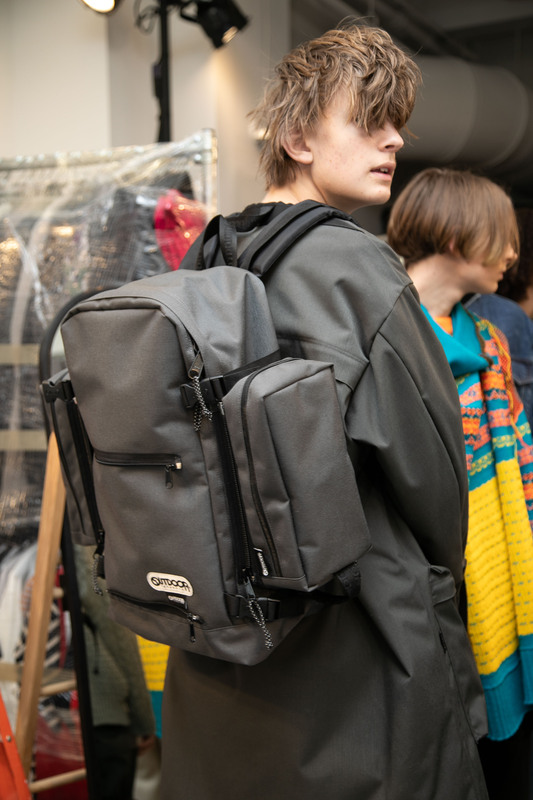 And the number of utility pockets, pouches, and large backpacks featured seem to suggest a shift away from the designer fanny pack trend into something more utilitarian and practical — see for yourself below.